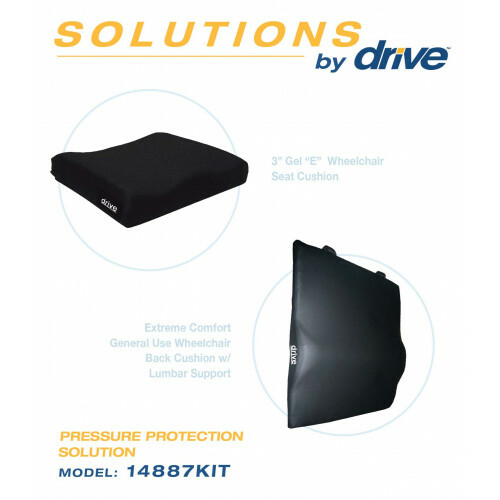 The Foam Wheelchair Back and Seat Cushion Bundle from Drive Medical is ideal for anyone in need of both a seat cushion and a rear support cushion. This combination of cushions provides superior positioning, pressure reduction, and seating posture. The seat cushion is made of a highly resilient molded foam and has a washable stretch cover which helps prevent skin breakdown. The back cushion, with a lumbar curve for lower back support, is also made of a resilient foam that is attached to a durable Masonite board to prevent swaying in sling seat wheelchairs. 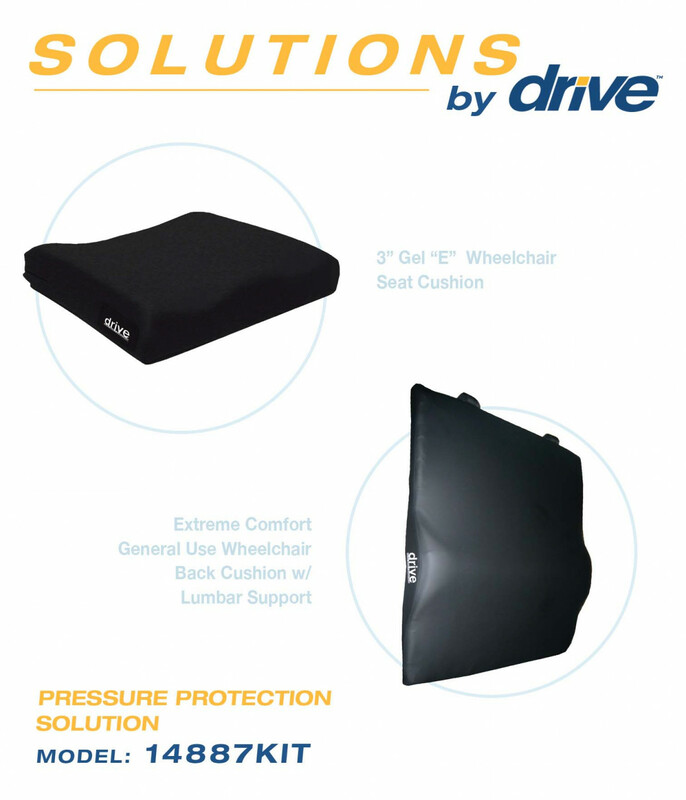 This Wheelchair Cushion combo pack from Drive Medical is the perfect solution for pressure prevention and increased comfort. These cushions are designed to fit 18" wide wheelchairs.